Nymphaea alba as know as White Lotus, is thought to contain Apomorphine and nuciferine. Alcohol extracts of white lotus have been used medicinally as a pain killer. 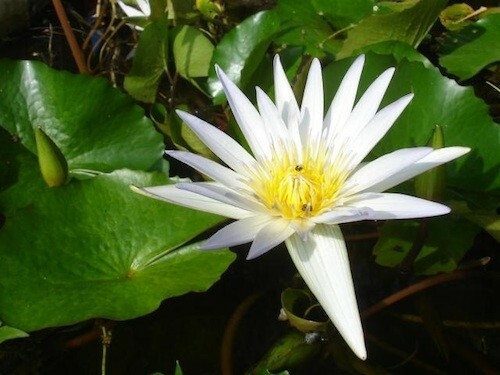 Nymphaea alba, White lotus, is closely related to Nymphaea caerulea (Blue Lotus) and has similiar properties and characteristics.